If there’s one vehicle we love to customize above all else, it’s gotta be Jeep! And we do some serious modifications to make sure our custom Jeeps are the baddest on the road — or off it! We work with the ultimate aftermarket brands & can install custom winches, lift kits, shocks, lightbars, interior, or anything else your Jeep needs! If you really are looking for a great lift for your truck then bring it in and we will give you a full estimate with the best possible price and the right setup for your RIDE! 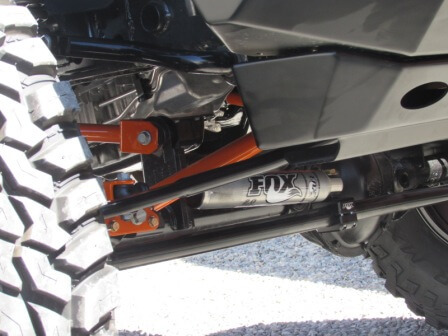 Our lift kits aren’t just about looks. They are about performance and that doesn’t just mean off road. The right setup can set you free. The wrong setup can destroy your truck. Come on in and lets talk. We carry the best in performance & race wheels. 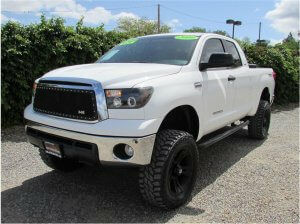 Whether you are looking for new wheels on a car or truck, we’ve got the top names to choose from. 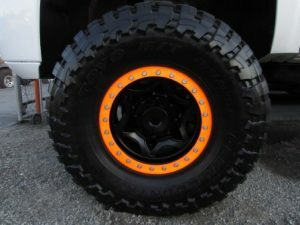 Whether you are looking for a set of race tires, all-terrains, or mud-terrains– the Auto Locators has all the best brands! We can help you get the perfect set of tires for your vehicle! 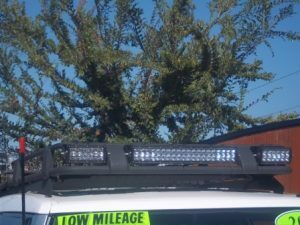 From customized head lights to tail lights, bumper lights, corner lights, auxiliary lights, bed lights, universal lights, fog lights, light bar accessories, & off-road lights — the Auto Locators can make your ride shine! Our example uses the following tire size. The first number (255) is the width of the tire in millimeters. The second number (85) is the aspect ratio or the difference in the rubber height compared to tire width. The R stands for radial tire. This number needs multiplied by 2 to add the top and bottom rubber section together. 433.5 divided by 25.4 = 17.07 inches .